This post is in partnership with The Shade Store. All views and opinions are those of The Kuotes staff and interior designer Kathy Kuo. Photos courtesy of The Shade Store and Kathy Kuo Home. As designers, we know that drapes have such a profound impact that they can often make or break a room. We also know that window treatments are tricky. Too frequently we see window treatment mistakes (drapes hung too high, drapes that don’t reach the floor, tacky patterns, etc.) in our clients’ homes. Needless to say, it was a huge relief when we found The Shade Store, a family-run, premium custom window treatment company that is able to help with every aspect of the design process from inspiration to installation. Sound too good to be true? 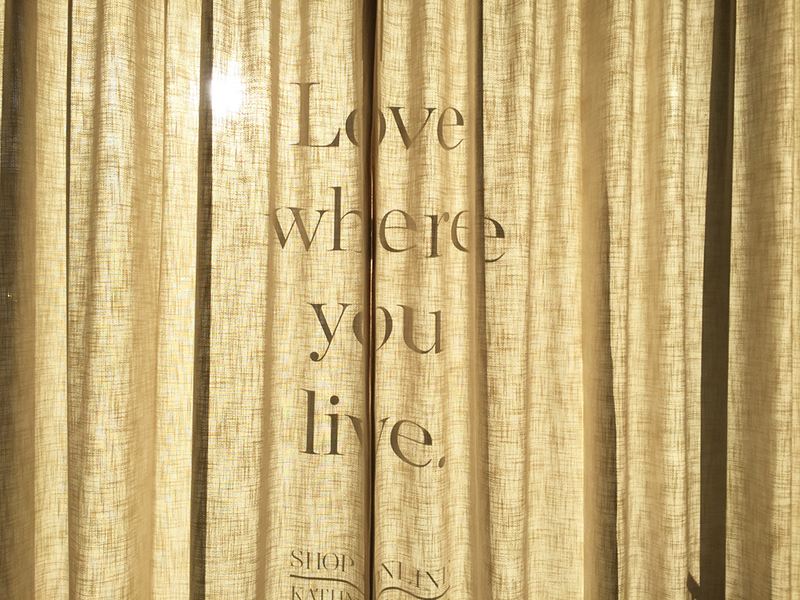 We had the pleasure of working with The Shade Store for the window treatments for our new Design Bar showroom, and let us tell you, the process was quick and easy. They literally show up to your space and measure your windows for you (for FREE! ), and they ship out your order (also for FREE!) within 10 business days. If you’re not familiar with the difficulties and nuances of custom drapery, believe us when we say this is a game changer for both designers like us and their clients. 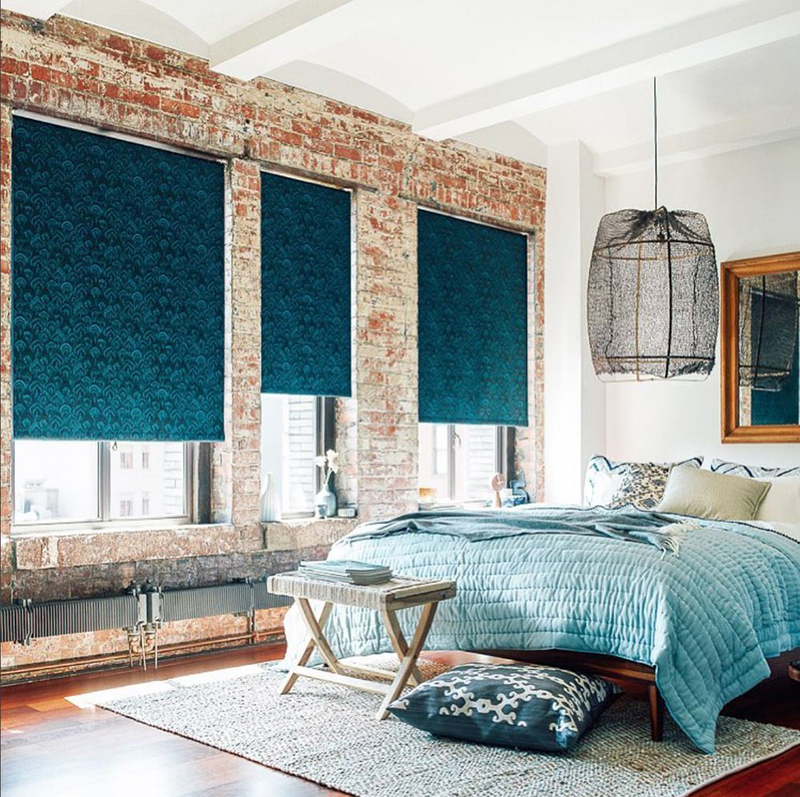 In fact, we were so pleased with our experience that we partnered with The Shade Store to offer their window treatment services to all of our Design Bar clients who need help with drapery. Take a look at our new Design Bar space, and learn more about how The Shade Store can help curb your window woes. Why did we choose The Shade Store? Finding the right treatment for your windows is a daunting task. Even as designers, we loved the help The Shade Store was able to provide. They offer an exclusive collection of more than 1,300 in-stock fabrics and materials that provide you with an unparalleled level of style and customization options. (P.S. Each window treatment is gorgeous and handcrafted in the USA by a skilled artisan). Since The Shade Store offers free swatch samples (which you can also view at our Design Bar showroom! ), you’ll be able to see and feel everything before you commit. And our favorite part of their services? You leave the measuring to the professionals. The Shade Store offers free in-home professional window measurements so you don’t have to worry about fit or scale. Orders ship out in 10 days or less, and they offer installation services to ensure everything is securely put in place. As a designer, being spared from the logistics and multiple step process of traditional window treatment installation is a lifesaver. Who doesn’t love a one stop shop? 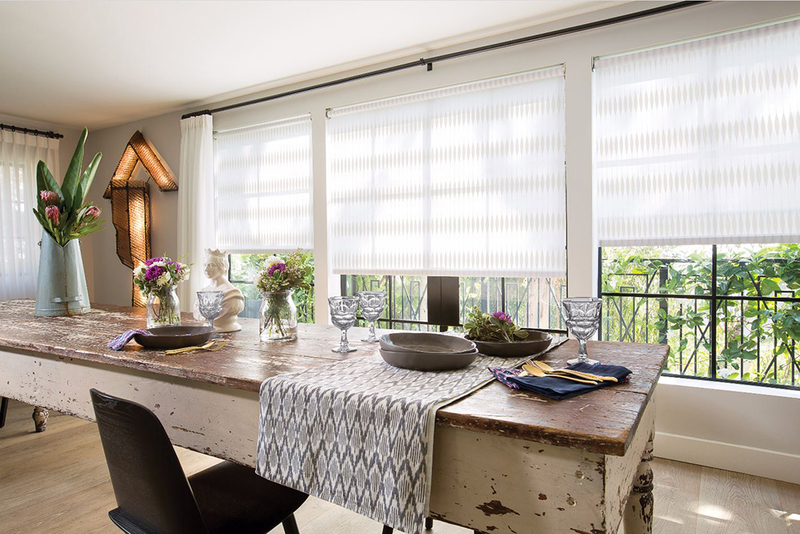 If you’re in the market for new window treatments, feel free to stop by Design Bar or send an email to hello@designbar.com to get started! 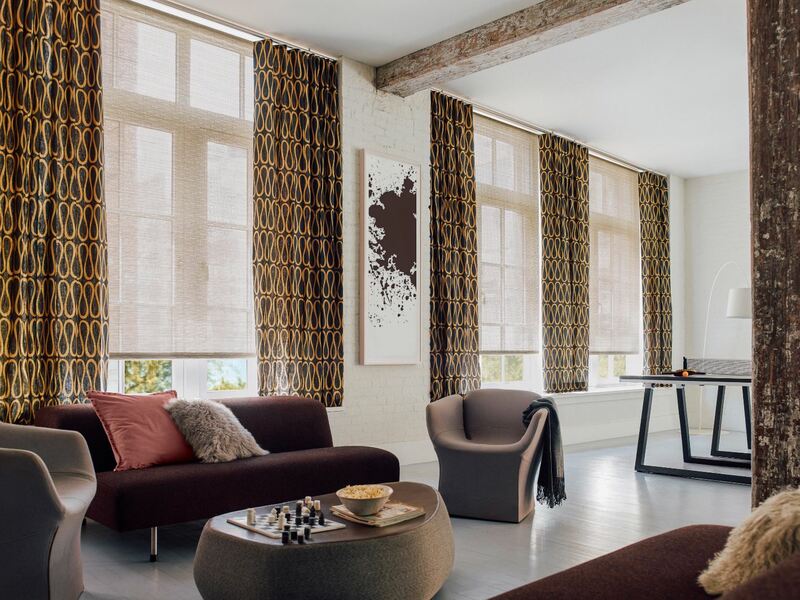 Since we’re close partners with The Shade Store, we can do all of the project management for you, including requesting sample swatches, advising on fabric selection, and placing your order with exclusive designer discounts you can receive when you purchase through Design Bar. And of course, we can offer you design services for any other aspect of your home you need help with as well. 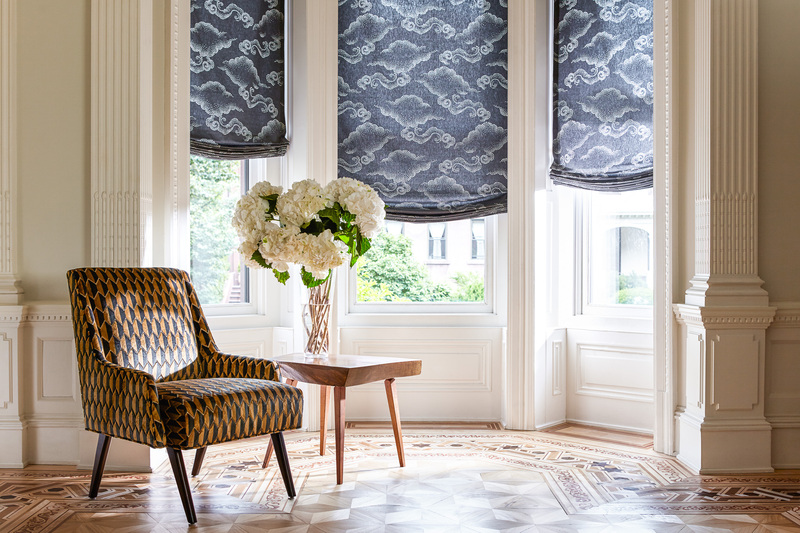 If you’re an interior designer yourself, we’d strongly recommend using The Shade Store for your clients if you want a quick and seamless window treatment experience. Plus, COM services are available to design professionals and ship in 15 days or less. Love The Shade Store? Have additional thoughts or questions? Comment below to let us know! Wow. What a collection of great tutorials. And such beautiful photos. Thank you, for doing this homework for us. My favorites are the ruffled ones, and that pleated one from The Shabby Nest is divine! I like a pillow cover that’s removable for washing.